Bubba Gandy Seafood Market and Steamery, a new fish market, now in Columbia, Tennessee. This is great news for fish lovers. 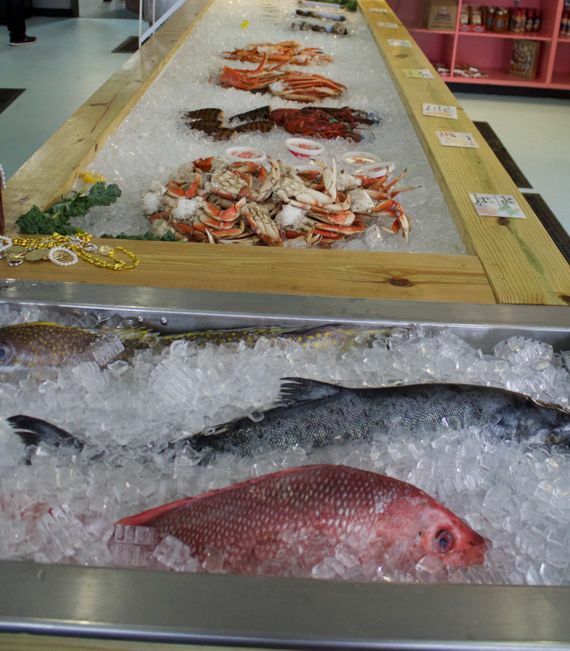 A large variety of fresh fish, including salmon, grouper, tuna, red snapper are caught wild and flown in fresh. 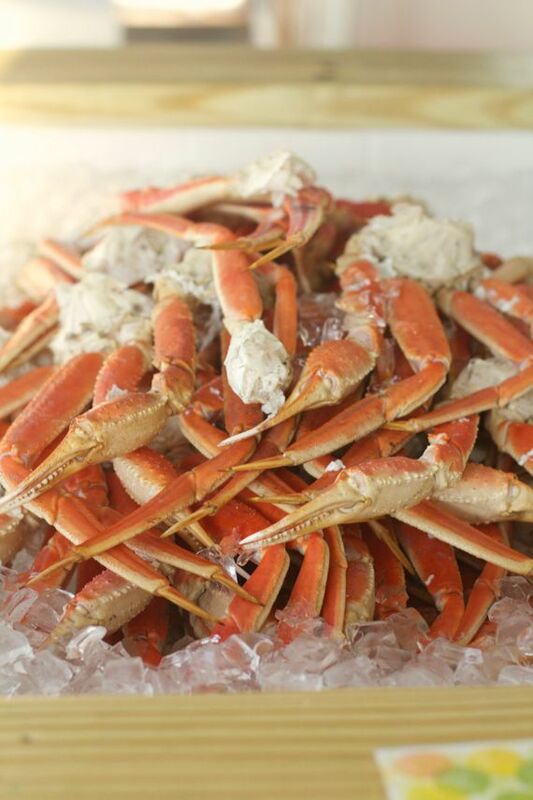 There are several types of shell fish including four kinds of wild shrimp, and over eight types of crab and lobster. And for blue crab lovers who love Maryland style crab cakes, they carry fresh unpasteurized lump crab meat. If it’s swims in the sea, you can probably find it, including the ever growing popular octopus. They only sell fresh fish, brought to you from various parts of the country, much from the Florida Gulf. 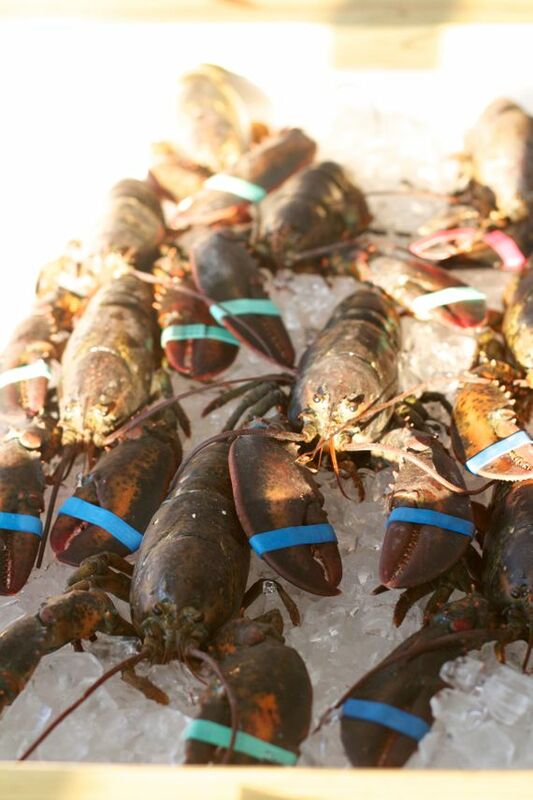 You can feel free to ask a lot of questions about the fish and shellfish, it’s origin, it’s freshness. 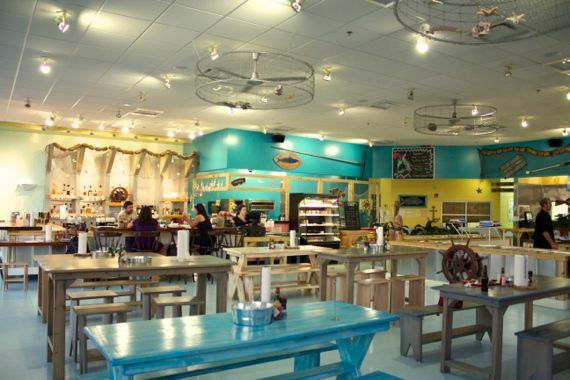 Bubba Gandy, located in the former Bread and Company location, is a generous space, housing the largest variety of fresh seafood in Nashville, along with some packaged spreads, such as smoked tuna which is seriously addicting, smoked salmon, and chicken salad. If you’re looking for something exotic, you can pick up frog legs and alligator in the freezer. Bubba Gandy Seafood Market and Steamery is unique in that, while there are handmade, hand-painted picnic tables in the front of the store (also for sale), their main identity is that of a seafood market and not a restaurant. However, there is an oyster bar, specials of the day, and customers can pick out shrimp, crab or fish, and have it steamed on premises and either eat there or take it home. There are plenty of fun spices to take along to make your fish at home. My personal favorite is the Slap Your Mama hot seafood spice with steamed shrimp. 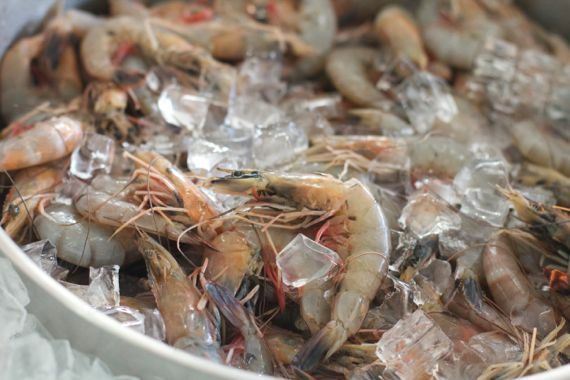 Their shrimp are some of the freshest, sweetest shrimp I’ve ever eaten. They steamed me some shrimp and gave me a couple of dipping sauces. I especially loved the garlic butter. My friend Susan and I grew up on the East Coast. Chuck came out with a tray full of blue crabs. I haven’t had these in years, so it was a big treat. 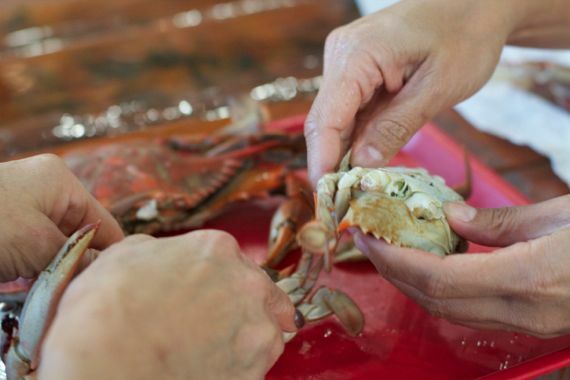 I remember eating them on spread out newspapers, painstakingly making sure I got every bit of the crab. 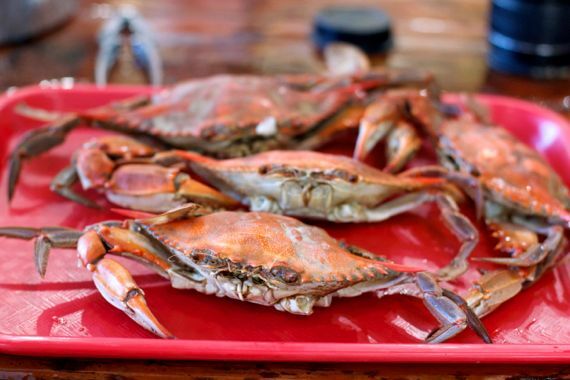 If you’ve never had blue crabs, you’ve never had crab as far as I’m concerned. The Oysters are amazing. 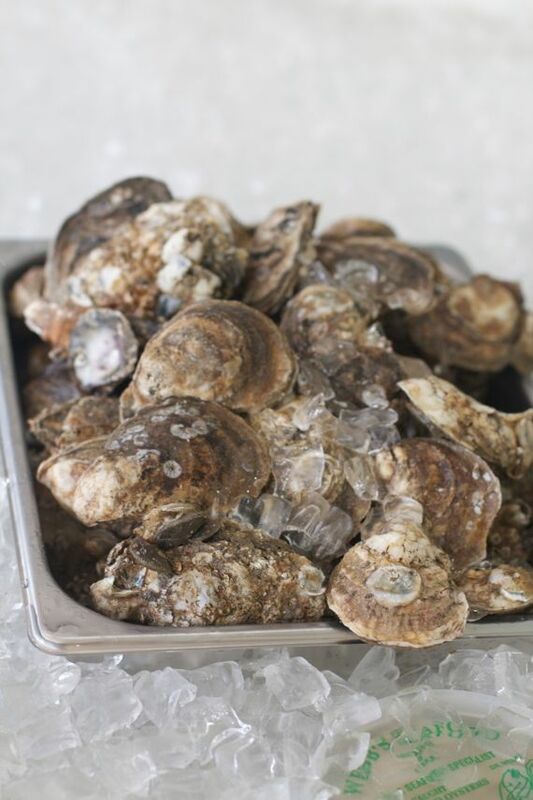 Oysters lovers will be thrilled with the selection of fresh oysters and baked oysters, and the oyster bar. 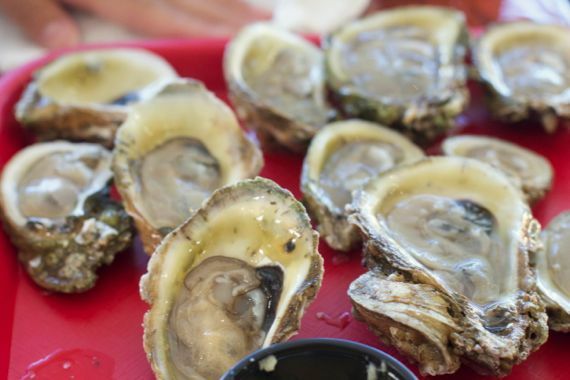 They sell baked oysters, but if you want to bake them at home, you might to try this. This is my friend Susan who loves oysters as much as I do, along with the much important glass of wine. Have a glass of sustainable wine or a margarita while waiting for your seafood to be steamed, as Bubba Gandy has a full bar. This is an example of a daily special. Bacon wrapped scallops with two sides. 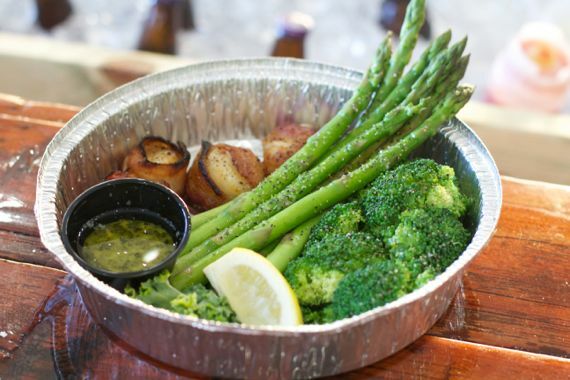 We chose the asparagus and broccoli which were cooked to perfection. Fish is one of the easiest things to cook, but sometimes intimidating. Bubba Gandy will give you plenty of easy, delicious recipes, and here is a recipe for an amazing seared tuna nicoise salad. 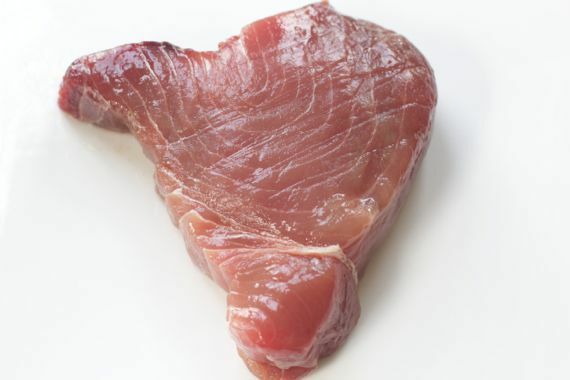 Look at this gorgeous piece of yellow tail tuna, wild caught. Did I mention that Bubba Gandy does not sell farm-raised fish? 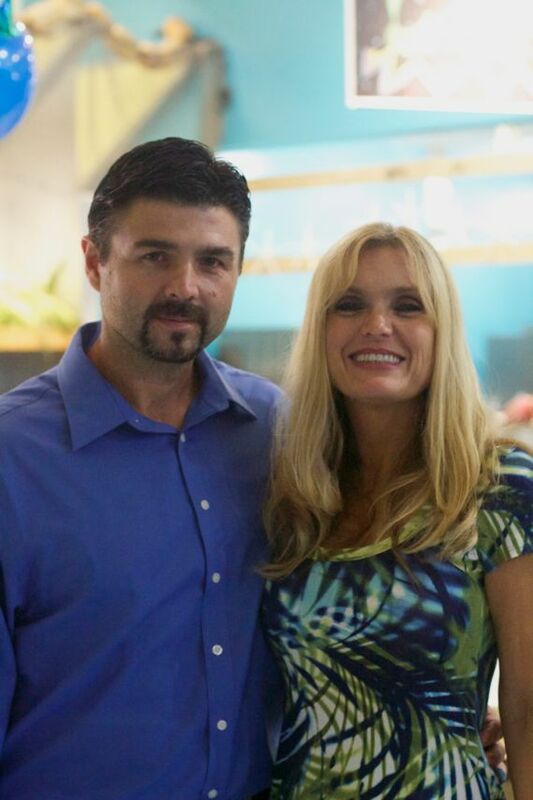 Owners Charles Gandy and his lovely wife Chantel, moved here from the Gulf to bring the Gandy legacy to Tennessee. Chuck Gandy’s grandfather, Buddy Gandy, of Gandy’s Seafood Market sells fresh fish to the Northeast and all the way to Canada. 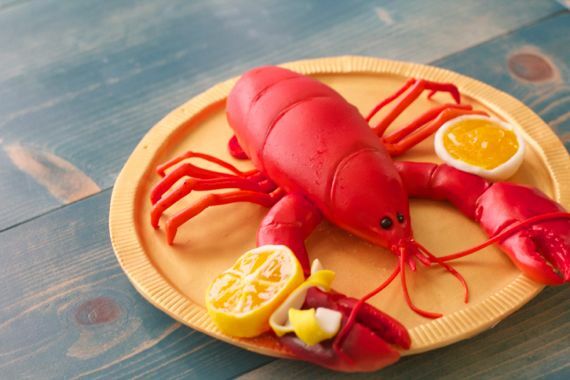 High Quality seafood is in the Gandy blood. I’ve been to Bubba Gandy several times, including a private party celebrating the opening. That’s where I met Priscilla of Cakes by Priscilla. Her cakes will be available for order there or through her website and customers will be able to pick up their special order cakes at Bubba Gandy. This is just one example of what Priscilla can do. Everything including the plate was edible. 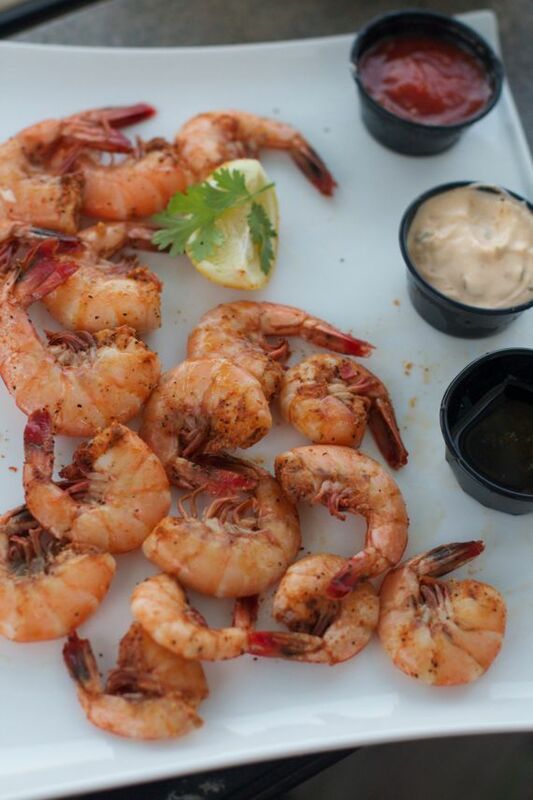 Stop by Bubba Gandy Seafood Market, open 7 days a week. Let them know you found out about them here. Ask lots of questions. They are proud of the fish they sell and they will be happy to talk seafood. 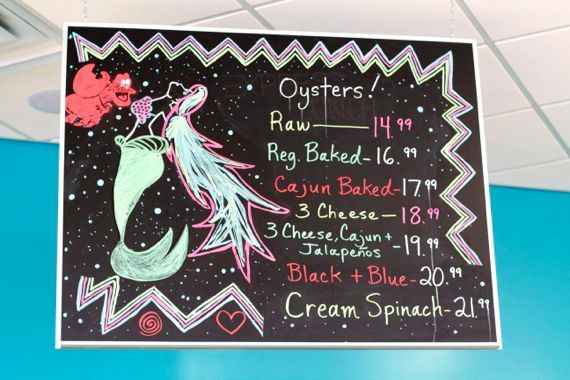 The menu is evolving, and specials are posted daily on their facebook page. This is such a wonderful place! Great atmosphere! It was absolutely wonderful getting to meet you, I look forward to seeing many more of your great recipes and having many more wonderful conversations with you. Your blog is something I look forward to reading an each new post is such a fun read! The next time I am in Franklin I will definitely stop by to check it out. 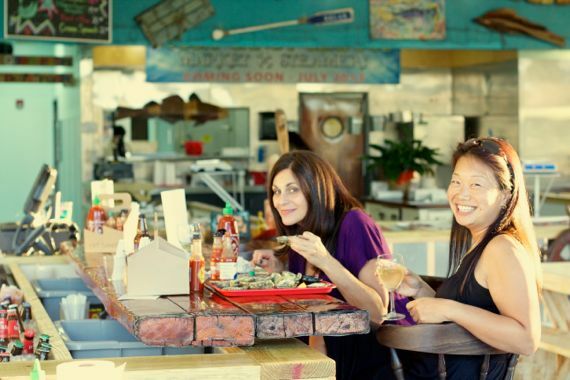 I am not often found eating or cooking with seafood unless I am staying on the beach, but your photos have me enchanted. Thanks Angela.